Check out our EVENTS page for dates & events! RECENTLY UPDATE SPACE! CHECK IT OUT HERE! ​TBGA is beginning a Sponsorship campaign to raise funds for new safety matting/flooring in the gym! 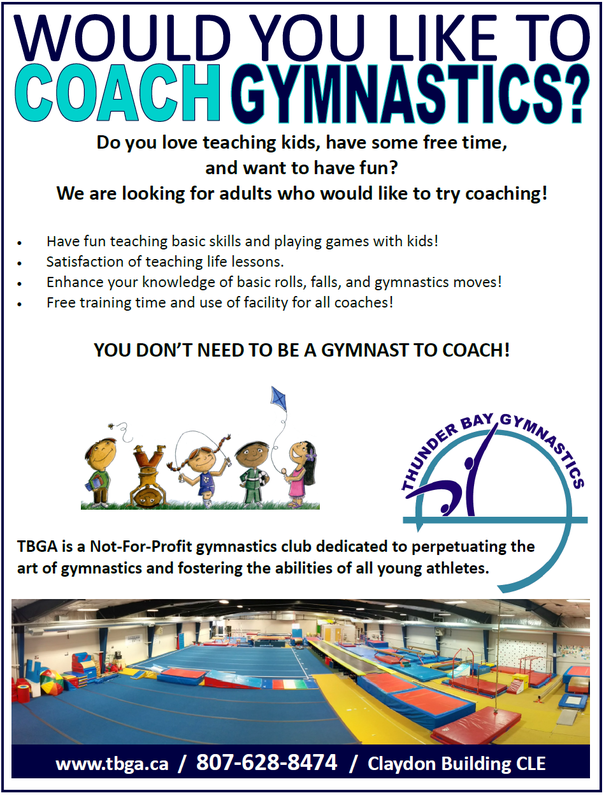 If you are interested in sponsoring our gym in exchange for advertising, email us at tbgatwisters@tbaytel.net or call us at (807)628-8474. ​Are you interested in shaping the strategic direction of TBGA? Do you have an interest in sport and want to give back to the community? Do you have skills, contacts or input that can help TBGA grow?